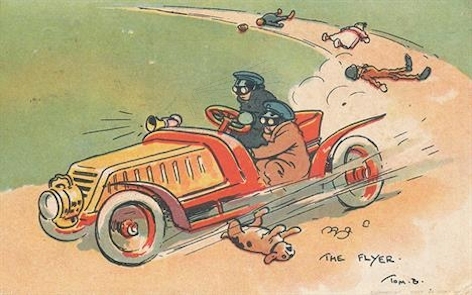 One of Britain’s foremost cartoonists who worked as an illustrator and painter but is probably best known for his humorous postcards. He left school and worked as an apprentice to a printer whilst developing his artistic skills. 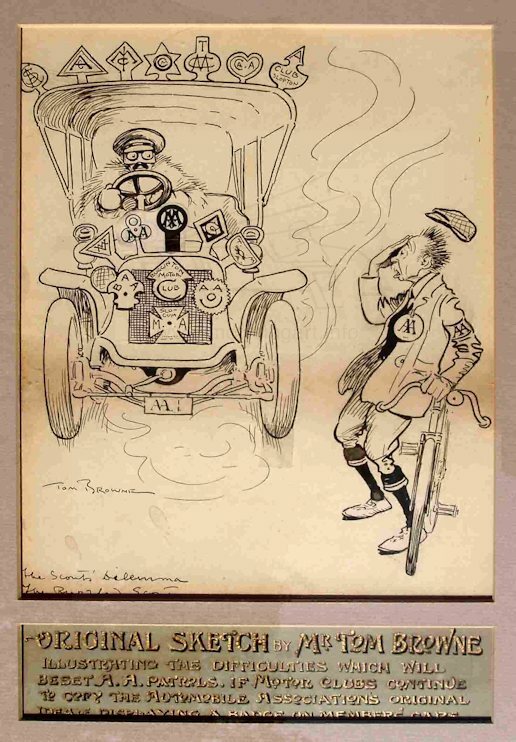 Initially he drew cartoon strips for early comic magazines. His work expanded to include comic postcards and commercial advertisements as well as illustrations for the popular magazines of the time. 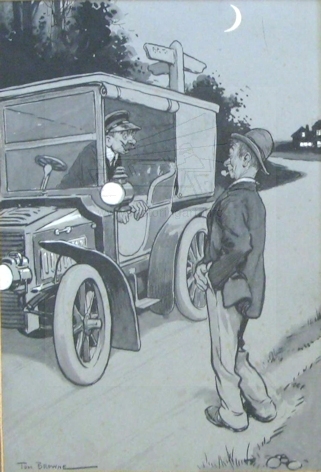 One of the magazines was Punch and his work is included in the books published of Punch cartoons such as ‘Mr Punch Awheel’. He was a founder member of The London Sketch Club and the President in 1907/8. He worked in various media most sketches are pen and ink and the postcards are watercolour with soft flat areas of colour. 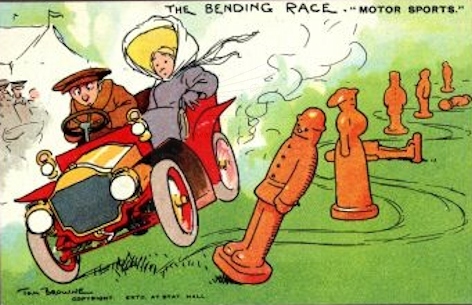 Motor vehicles often featured in his works and several series of humorous postcards were published. 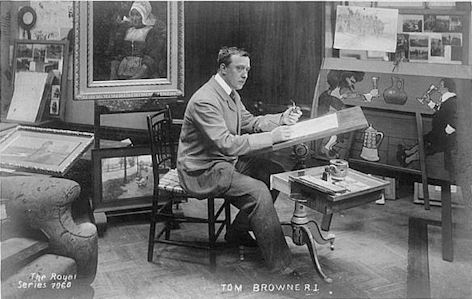 Artwork mostly signed in full - Tom Browne but also Tom B. Original sketch about the spread of car club badges and AA scout problems seeing correct badge.